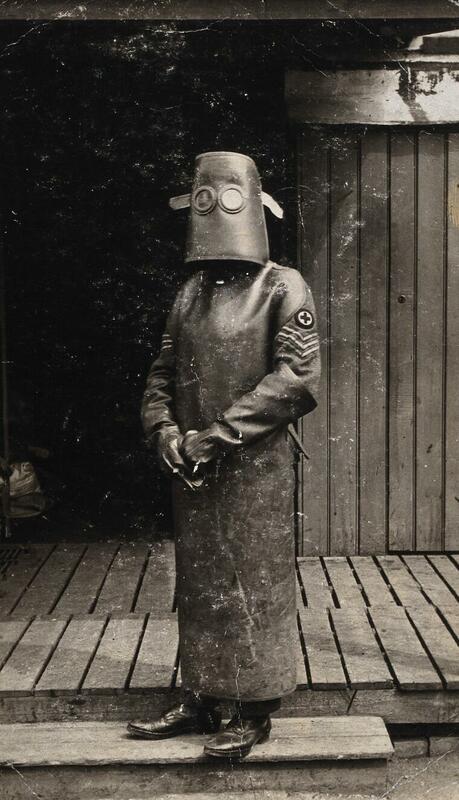 World War One, France: a radiographer wearing protective clothing and headpiece. Photograph by H. J. Hickman, ca. 1918. Lettering on verso: the name 'Hickman' doodled repeatedly.